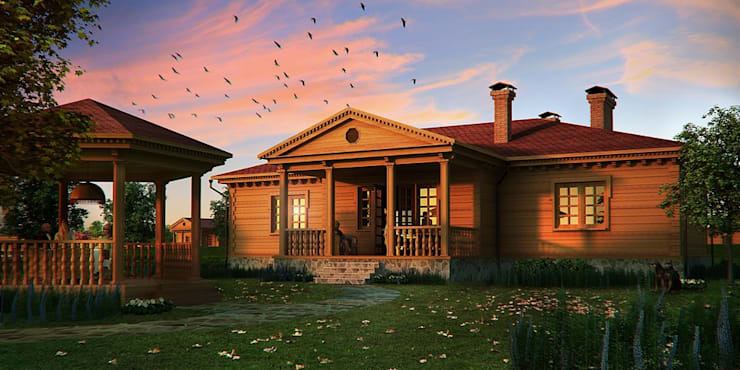 Wouldn't it be great if you had a beautiful wooden house where you could return after a tiring day at work? Wooden houses are made from natural materials and often feature gorgeous, rustic interiors. This immediately creates a very soothing and relaxing environment. As we know, however, there are different styles and trends when it comes to architecture. 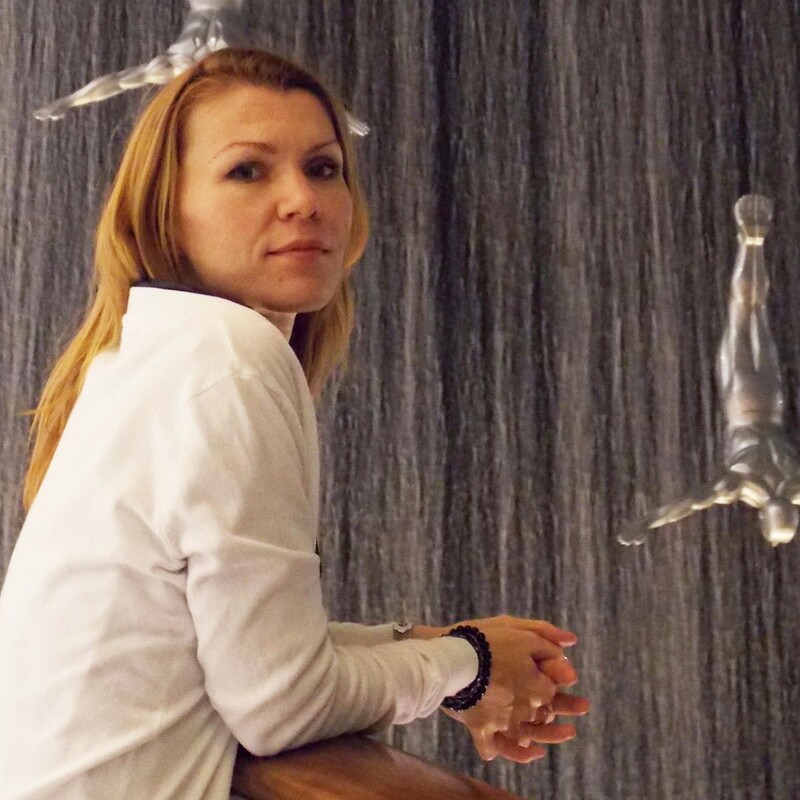 Some prefer more concrete structures where glass plays a big role. Others prefer a more futuristic design with an interesting exterior facade. But no matter what style you prefer, a wooden house can fit that criteria. This is why today at homify, we have put together 10 different wooden houses that are very different from one another. They are a great example of how much potential exists! Wood is a predominant feature in this beautiful yet simple house. The horizontal wooden beams make up the facade while wooden support columns enhance the natural look and feel. These wooden elements are very durable and will keep the house sturdy and strong in all weather conditions. A wooden house also has an advantage in that they are very successful when it comes to heat and sound insulation. You also don't need to paint a house like this! Wooden houses without a coating can be covered with bright or matte polish to protect it from external factors. One of the most important advantages of a log house is that they can be built very quickly. They also look very attractive, as we can see in this design. Don't you think it's so striking? There is something to consider, however, when it comes to log houses. The foundation should be strong and sturdy because logs are much heavier than traditional brick walls. Log houses also need regular care and maintenance. 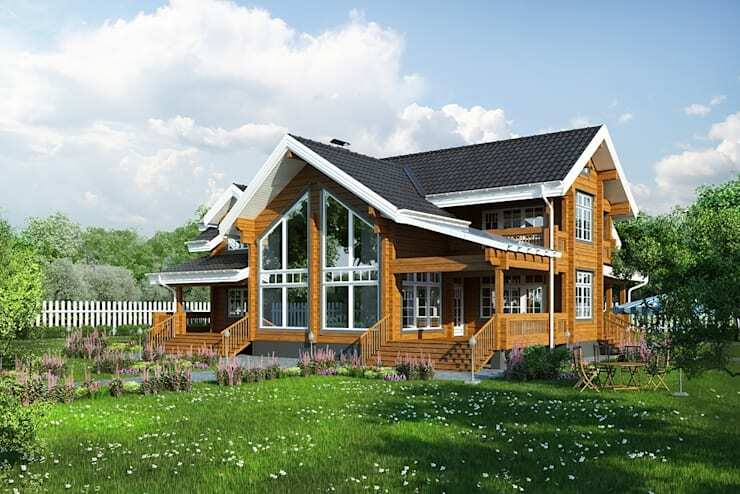 The care of a wooden house is very important because this is a natural material obtained from a living organism. This means that it may change according to the climatic conditions. In a warmer climate, for example, you may need to apply some mineral oil to the wood at least once a year, but in a colder climate, you may only need to do this once every two or three years. The interior of the wooden house should also be looked after and polished. Don't you love how design professionals Smart Wood have contrasted chocolate brown and white tones in this gorgeous design? If you don't like wooden logs to overwhelm a design, why not go for something like this? 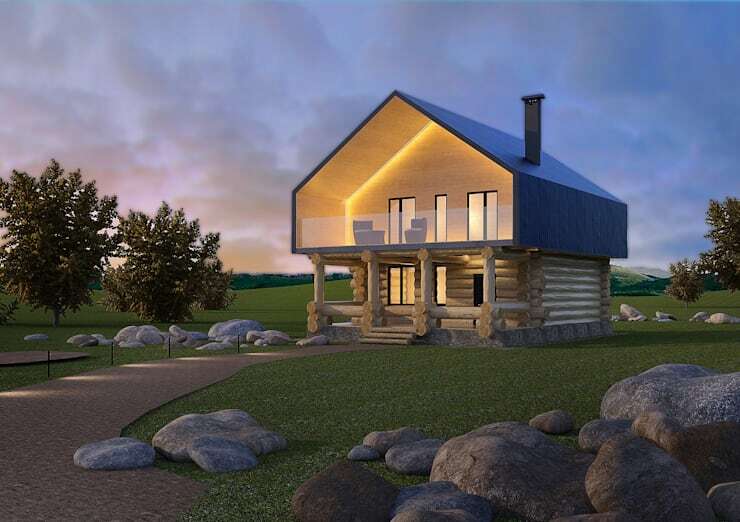 The lower floor takes on the log cabin look and feel while the upper level features smooth wooden planks. It is a very elegant look and feel! Modern lighting has been installed throughout the upper floor of the house, enhancing the clean lines while the lower floor takes on a more rustic design. This is a wonderful combination of modern and rustic! Thanks to the developing technology, you can design a wooden house exactly according to your specifications. For example this house features all of the elements that a traditional bricks and mortar house has. Built on a concrete foundation, it also welcomes guests onto the spacious terrace. The columns and railings add a sophisticated touch to the design. The tiled roof is also no different to a roof that we would find on a traditional house while the garden creates a very appealing look and feel from the outside, complementing the natural facade. Here we come across a detailed wooden house that isn't overwhelming or overcrowded. Wooden panels have been used both vertically and horizontally, adding depth and perspective to the architecture. The matte metal handrails add to this design. Don't you love how the window frames and large glass windows and doors add a modern touch to this minimalist wooden house? This is an example of a very simple yet sophisticated home that takes on a country-style look and feel. Don't you think this house is simply magnificent? The wood used for this house is very simple while the roof creates a gorgeous contrast, enhancing the different colours and tones. On the one side of the mountain is a sea view and on the other side is a private house made of wood. Do you see how the designers have worked with the landscape, perching the house on a hill? The wooden facade contrasts beautifully with the natural stone of the mountain. The glass used throughout this house brings a modern touch to the design. While we can't see it, there is also an infinity pool, which increases the value and functionality of this wooden house. 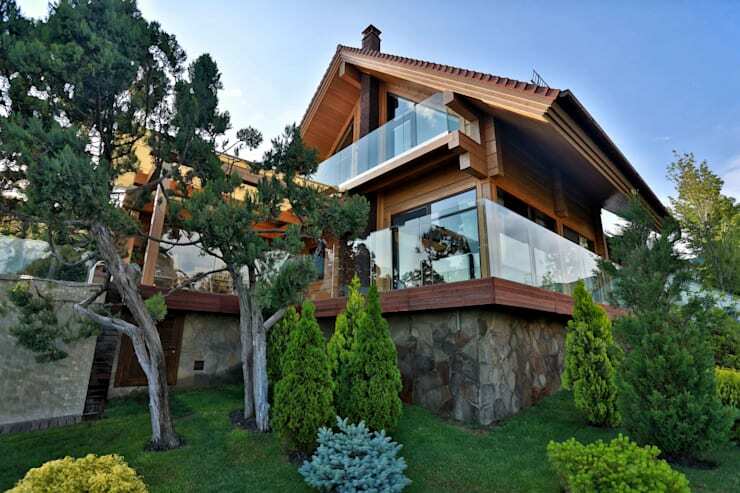 With gorgeous landscapes and a swimming pool, what more could you want from a wooden house? Prefabricated houses are houses that have been prepared and brought on location from a factory. Most of the elements of a prefab home have been prepared beforehand and simply need to be put together on site. What's great about this, apart from the speed at which a home can be put together, is that you can really choose a house according to your specifications. This house, for example, is simple and modern with a flat roof and a cube shape. Gorgeous! 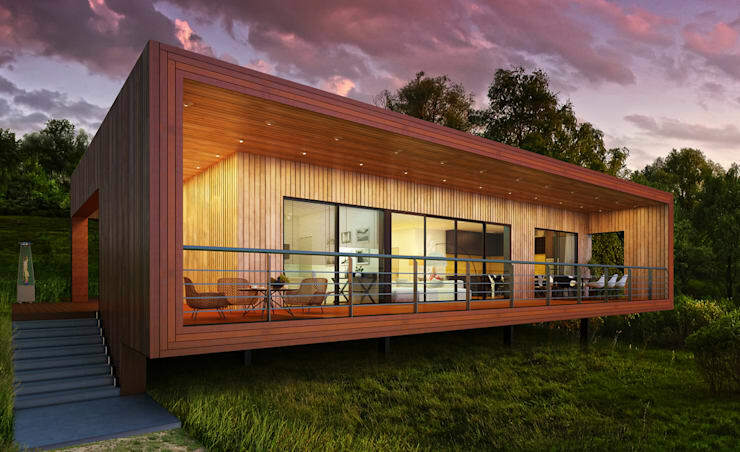 Also have a look these tips before buying a prefab home. 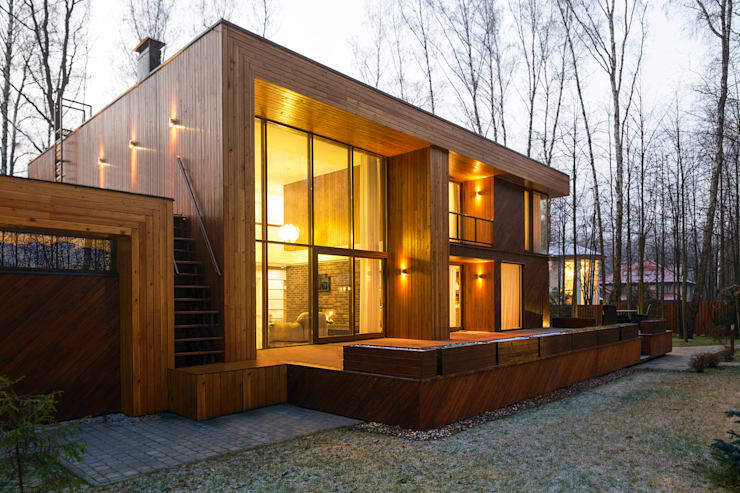 Finally we come across this beautiful, solid wooden house. It features a very strong and imposing look and feel, even at first glance. This house was created with a pleasant contrast between glass and wood but also attracts attention with its successful lighting. 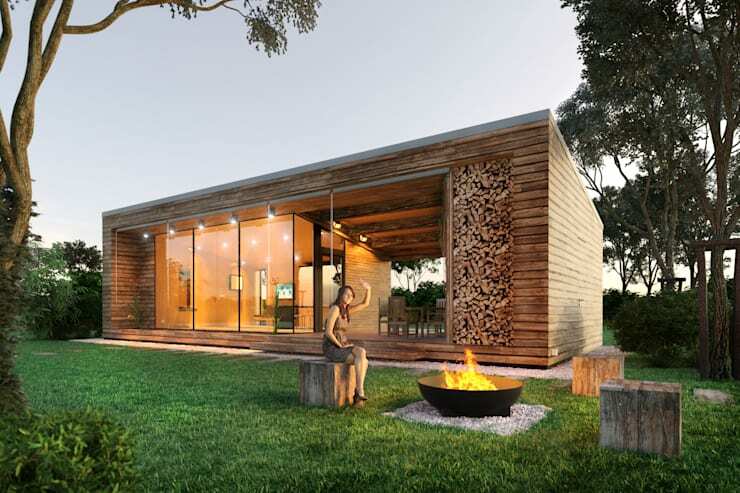 If you enjoy wooden houses, you'll love this small home perfect for a family, built for R500,000. Also have a look at these wooden staircases that wow! Would you go for a wooden house?